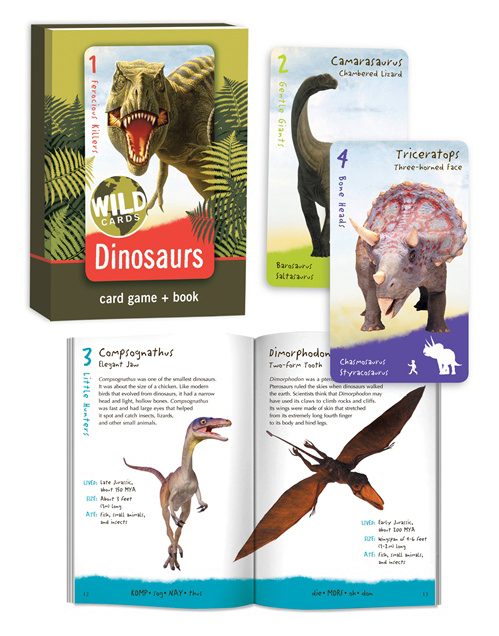 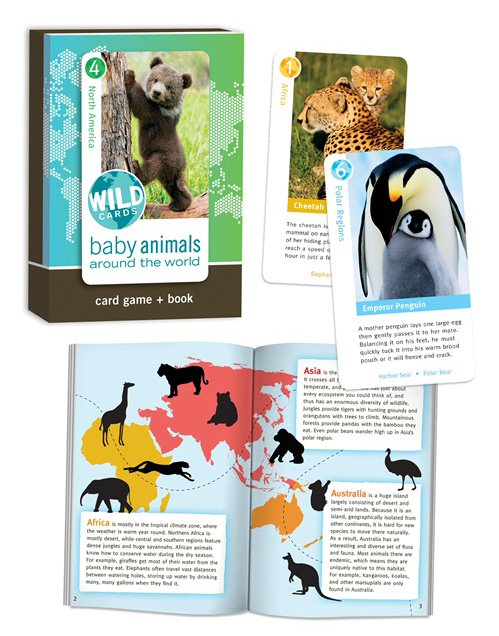 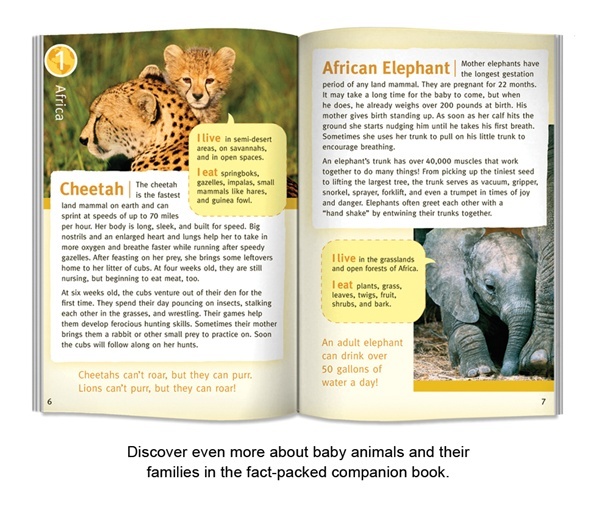 The wildlife of five continents and the polar regions comes alive in this card game and book set. 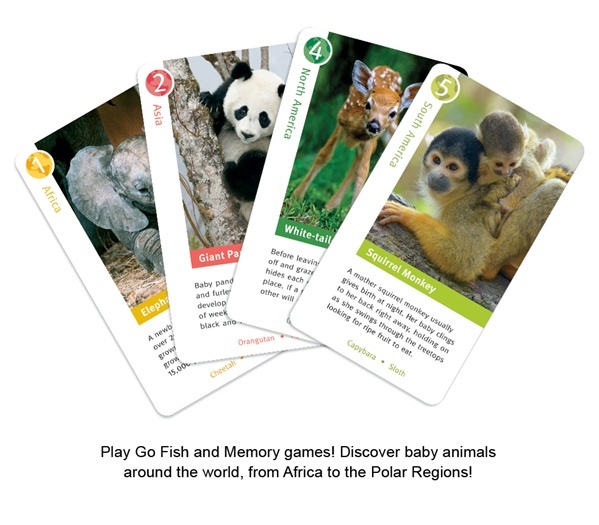 Play Memory, Old Maid and Go Fish and learn what it’s like to grow up as a polar bear in the far North, an elephant in Africa, a sloth in South America, or an Emperor Penguin in the Antarctic. 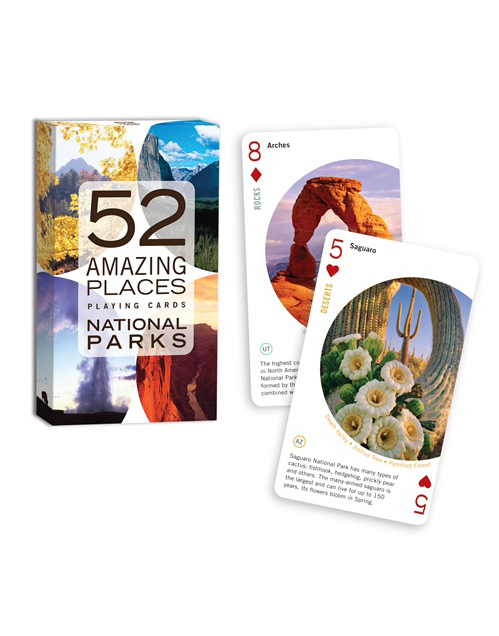 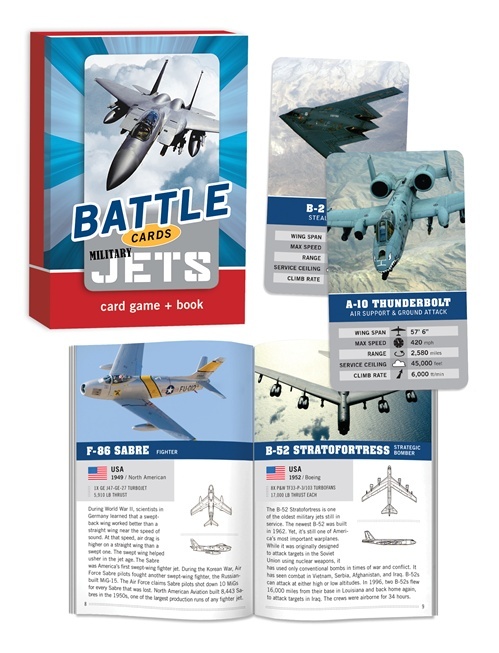 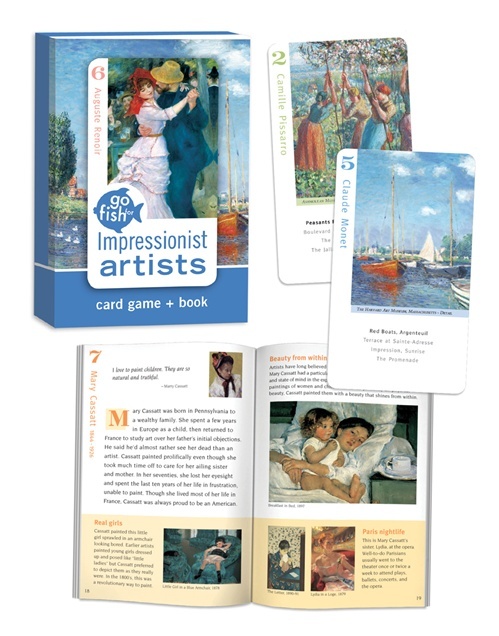 There are dramatic images and facts on every playing card, and in the companion fact book.